here are three very beautiful ladies! 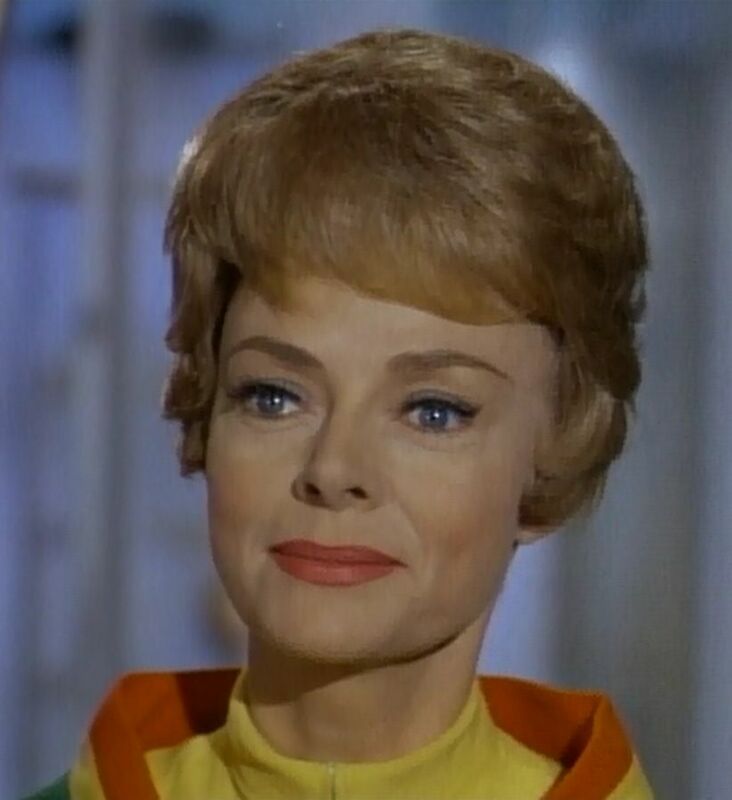 As Season Two progresses, our dear Penny gets fewer and fewer closeups or solo shots, as Lost In Space begins its slide from an ensemble show, with many episodes spotlighting particular characters, to a show featuring the antics of Dr. Smith, the Robot, and Will, with the rest of the cast turning into animated wallpaper. 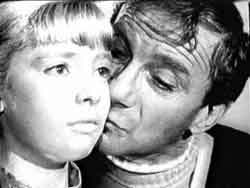 Fortunately for Penny, she (like Will) seems to have a special bond with Dr. Smith, so she gets some good screen time with him. Is the good doctor sort of a surrogate grandfather to them? 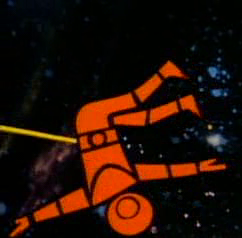 From the episodes Ghost Planet, Forbidden World, and Space Circus: note how many shots are with Smith, and how few alone. A few things to look for, besides Penny being wonderfully expressive, as always, and increasingly attractive: a bit of vanity, showing off her uniform. An unusual pose, getting out of the launch couch. A very elegant turn in front of the window Oh, and a stunning smile!